Shri B.V. Raman's birth time is given by himself in The Autobiography of a Vedic Astrologer , page 12. Surya-6 rules Karakamsha = Simha bhava-7 = peer-to-peer advising (7 contains Zukra-Kuja-Budha, indicating an active consulting practice). Counselor, adviser, negotiator, alliance-maker	= Rulers of bhava-3, bhava-4, bhava-5, bhava-8, bhava-9, and bhava-10 occupy the 7th sthana of advocacy and peer-advising. Generally, Surya in bhava-6 suggests exploitation, disability, illness, or servitude of the father. However Surya in bhava-6 can also indicate a father who serves in a ministry such as criminal attorney, social worker, medicine, supporting laborers, or military. Raman's father was blind and in poor health for most of his life. Rahu the boundary-breaking speaker in 9th-from-Surya = paternal grandfather the eminent Karnataka Jyotishi, Prof. B. Suryanarain Rao . Shri Raman's Karka-Surya occupies Bhava-6 = ministry of service. He originally trained in zoological sciences and homeopathy, because he was planning for a career in medicine. Periods of yuvatipathi Surya are mixed, throwing light upon the Jyotisha dynamics of relationships and opening new contractual opportunities, yet exposing underlying imbalances in expectation. yuvatipathi-7 in Bhava-6 conflict is associated with a marital union characterized by poverty and illness. Often the spouse hails from a service-class background. One may find that the professional reputation (7th = 10th from 10th) is sullied by debt, by association with the poor and marginalized, or with beggars and other denizens of the scheduled classes. Often the profession requires hard work equal to servitude, so that while one may enjoy an independent consultancy one feels as it were enslaved to the consulting work. Yuvatipathi in the roga-bhava ripa-bhava ari-bhava may also suggest a loss or draining (12th) of balanced agreements (7) in marriage, business partnerships, and advising/counseling relationships. Perhaps fees are not paid as expected, or other contractual expectations not met. Dr. Raman's birth family was dogged by poverty and debt. His widowed father was disabled by blindness and after his father's remarriage Shri Raman was largely ignored by his father (Surya-6, ill father). He worked tremendously long hours, and his chosen profession/obsession of traditional Jyotisha consulting is famously low-paying. Nearly every day of his life he worked long hours on his readings, lectures, books and magazines, until his death at age 86 -- on December 20, 1998. Much of the work was done at home rogesha-6 in 4. Shri Raman's mom was a traditional housewife. She died during his first sade-sati, when young BV was only a toddler. 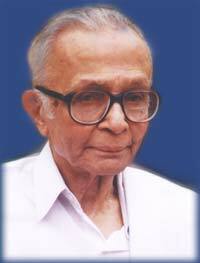 Shri Raman was an internationally eminent and remarkably prolific 20th century Jyotishi. A dedicated translator and publisher of classical Jyotisha texts, he also wrote dozens of Jyotisha books. Raman's revival of his grandfather's long dormant serial The Astrological Magazine was a feat of journalistic excellence (Mrigashira; Budha; Mangala L-3) bringing to scientific (Kumbha) light the vidya of Jyotisha which had languished in superstitious darkness. "You could be a reputed astrologer. You will have mixed results. For some periods you will be at the top and for some periods at the bottom. Gambling tendency will make your life miserable." "This is a powerful Mars. You are family conscious -- either something happens to blemish the family's reputation, or you are simply very aware of and desirous of being a part of a "dignified" family. Spends a lot, runs into debt. Difficulty in improving the career position. Wants money to come easily, without hard work. Prone to speculation, gambling, or get rich quick schemes." In The Autobiography of a Vedic Astrologer, Raman describes dozens of commercial ventures, very few of which go right on the first attempt. Often he loses money. He recounts various moments where his schemes fail to earn where expected because someone does not keep a promise (7) or Raman is unable to produce his own contribution to the deal. Clearly he is an inveterate deal-maker with three graha in Simha-7 . Yet with yuvatipathi Surya-6, there are more failures than successes, overall. Occasionally a project did succeed. Typically succeeds comes after a poor start, incurring debt, frustration. But eventually several ventures do succeed. The strongest material successes come with persistence from his legacy knowledge-bank in Jyotisha. Rahu in bhava-2 grants treasuries of extraordinary knowledge. In the end, the signature work of his career was reviving his paternal grandfather's respected journal, the Astrological Magazine. Although ultimately successful, the revival was stressful as it performed poorly for several years before it became internationally subscribed. Mahadasha of Zukra and Mahadasha of Budha were also actively engaged in consulting and advising, due to Zukra and Budha granting career powers in Bhava-7 yuti karmesha-10 Mangala. Bhava-10 shows good auspice - occupied by Jupiter and supported by aspects from uttama- Chandra; karmesha-10 Kuja; and a strong, determined lagnesha Shani, whose disposit or is the excellent career planet Zukra. During Guru Mahadasha 1937-1953, B.V. Raman gained worldwide attention by issuing correct Jyotisha predictions for events occurring in Europe and Africa during World War Two. dhanapati-2+Vriddhipathi-11 Guru the Moneymaker occupies karmasthana, allowing even a village astrologer - who normally subsists - to earn significantly through career activities. Guru brings blessing wherever he travels; in Shri Raman's case Guru's blessing inhabits Bhava-10 of leadership and authority in one's professional field. Professor Guru teaching in Bhava-10 classroom also tends to counteract some of the low-public-dignity karma. In fact, his reputation and finance (Guru rules 2-11) expanded dramatically during Guru Mahadasha 1937-1953. "Jupiter enables you to acquire occult wisdom and to discover hidden knowledge through extensive research, though you may experience difficulties in this pursuit. As a teacher, you may be highly successful, especially because of your wisdom, religious attitude, and personal character. Financially, however, you may not be affluent. Your name may be long remembered for contributions to sacred science." Zukra rules the 10th navamsha ++ Zukra occupies radix-7, suggesting a profession of counseling and advising. This is the astrologer's professional reality. From early childhood, B.V. Raman studied under his paternal grandfather the famous South Indian Jyotishi Prof. B. Suryanarain Rao . He diligently attended grandfather's client sessions as a youth. When authorized by grandfather, young Raman began advising on his own. Zukra = Yogakaraka for Kumbha lagna. Zukra gains additional strength in kendra. Bhava-7 = 10th-from-10th = the partnering, peer-advising, counseling, mentoring relationships which compose the foundation of public career. Zukra shares the counseling-advising functions with Vidyapthi-5+randhresha-8 Budha and L-3+karmesha-10 Kuja . Shri Raman's career is complex, involving articulate expressions (Budha) of personal genius leading to fame (5) and secret/tantric knowledge (8); along with vigorously productive (Kuja) writings and conference presentations (3) and leadership authority in his profession. Zukra receives no graha drishti. Budha rules 9th-from-9th (paternal grandfather) while Kuja is dispositor of Guru who rules 9th-from-Surya . Role of the paternal grandfather is very favorable and tightly engaged with B.V. Raman's professional work. Shri Raman does have a strong public aura but it is mixed character due to the Nishturabashi Yoga, where uttama-Shani yuti uttama Soma occupy Bhava-4. The public illusion associated with his career or the impression he gave to the public was of being a hardworking, sincere person of very modest means (Shani) - with some emotional constrictions (Shani/Soma). Such a person may experience a degree of emotional insecurity. Perhaps one tries too hard, or is too attached to the Rules. The Nishturabashi Yoga-4 nativity has been traumatized by emotional loss paired with a strict or scarcity-impacted upbringing, and as a result one is often anxious to establish his dignity. Yet uttama-Chandra = also part of the aura or public impression, and uttama-Chandra may grant a deep, reliable intuition. Still, the foundational (4) self-discipline has established a channel for authentic psycho-emotional perception (uttama Soma) which provides the power to perform exceptionally accurate Jyotisha evaluations (Vrishabha, value). Challenges of receiving affection from parental figures, especially the maternal figures. Caretakers tend to be conditional and emotionally withholding. Little unconditional love can flow due due to early-life loss of Mother. Emotional expectations acquire a negative, even punitive, valance and there are emotional imbalances in nurturing partnerships especially marriage. when Shani freezes Chandra., the expected nourishment does not flow. Nevertheless there are many corrections from excellent planets elsewhere in the chart. emotional need for leadership as a uniquely distinctive individual known for his scientific prowess (Kumbha). His professional reputation was grounded through his mathematical focus, rigorous research methods (in the pre-electronic era), and scientific testing (Kumbha). Before computers arrived to automate mathematical accuracy, Raman felt that he had a mission to educate a generation of computationally accurate astrologers, who would stop making the mathematical errors which had cursed Jyotisha for millennia. Shani rules Kumbha lagna = A visionary = harbinger of New Age * age of Aquarius * Aquila. His efforts helped energize the 20th-century migration of Jyotisha knowledge toward the West. Lagnesha Shani systems in Bhava-4 shows strong physical propensity toward teaching of cultural fundamentals. Lagnesha in bhava-4 generally indicates not so much a proclivity toward the philosophical or higher principles aspects of doctrine. Rather it is an angle of orientation toward foundational, elementary teachings. The teach-able moments can include moral advice-giving in context of counseling. In The Autobiography of a Vedic Astrologer, B.V. Raman mentions often that he felt his Brahmin cultural legacy gave him certain moral role-modeling responsibilities, an obligation to teach by doing, by living a moral life. Shri Raman completed almost all of his life's literary work, of writing for private clients and for publication, at home (4). Lagnesha Shani yuti rogesha-6 Chandra not only creates a Nishturabashi Yoga which is in reality a lifelong Sade Saati, but also kept Shri Raman in poor health, impoverished and humble for most of his life. Although 2nd pada of Rahu-ruled Zatataraka Nakshatra is known to be a location of birth for astrologers and healers, is it also associated with gambling (Rahu). This pada often produces a proliferation of business adventures: some win; some lose. Finance = roller-coaster. Fellow shata-taraka native de Mundi Systemate 1643-1727 Isaac Newton also complained about losing large amounts of his capital into failed investments and fraudulent commerce. In Newton' case the most colossal losses were from bad contracts in the shipping trade. Zukra + Budha-yuti-Mangala = yuvati bhava = counseling, advising, agreements, negotiations. The product best-known product of Shri Raman's thousands of consultations = his written work via dozens of books + The Astrological Magazine. Mangala actions = bhratrupathi-3 (publications) + karmesha-10 (public reputation, executive responsibilities). A strong placement of Kuja for any Kumbha nativity gives talent in publishing industry. Raman's efforts were particularly assisted by politicians and royal patrons (Simha). Zukra relationships bandesha-4 (homeland, folk customs and cultural norms) + dharmesha-9 (philosophy, religious writings). yogakaraka Zukra in kendra-7 gains respect for views on political (Simha) alliances (Zukra). Budha words = vidyapathi-5 (children, celebrity) + randhresha-8 (occult, sudden changes). Budha = karaka for publications; again, political-royal (Simha) alliances especially in matters of war (Mangala) promote Shri Raman's professional standing. The combination of bhratrupathi-3 + vidyapathi-5 in Karakamsha-kendra assists his reputation (7 = 10th from 10th) as a professional writer.